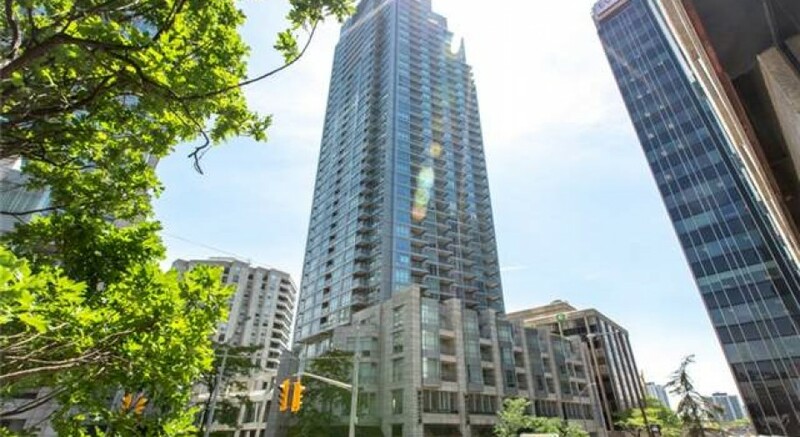 Bright 2 Bedroom Condo At Minto Quantum. Approx. 1218 Sf Per Floor Plan. East Facing Balconies From Living Room And Master Bedroom Usher In The Sun. Open Concept Kitchen Features Island With Breakfast Bar And Stainless Steel Appliances. Quantum Amenities Include Pool With Hot Tub, Business Centre With Wifi, Party Room And 24-Hour Concierge Service. Steps From Silver City, Indigo, Restaurants And The Eglinton Subway Station. Fabulous! Inclusions: S/S Refrigerator/Freezer, S/S Smooth Top Stove, S/S Microwave Oven, S/S Dishwasher, Washer, Dryer, All Electric Light Fixtures, All Window Coverings, Broadloom Where Laid.